To be Scott Free, or not to be Scott Free. That is the question. 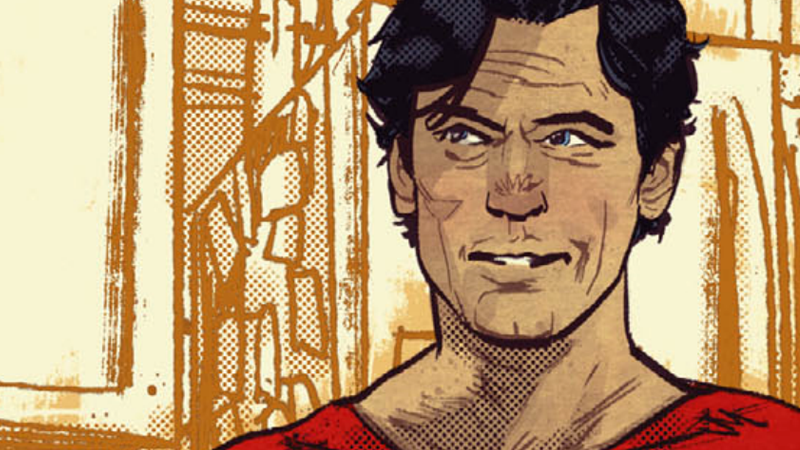 Tom King and Mitch Gerads’ haunting, beautiful take on Jack Kirby’s Fourth World in Mister Miracle has presented many a puzzling trap—literally, mentally, spiritually—for its escape artist hero to get out of. He’s done so, time and time again, but its final issue asks us to question that, as well as what it means for him to escape in the first place. I hate to shock you—after all, this is a Tom King comic—but Mister Miracle #12, out now, does not have all the answers you might necessarily want out of a conclusion to this stirring, mind-boggling journey. It instead offers you the pieces of a larger puzzle to put together on your own terms, a puzzle that only you as a reader will know the final shape of. It is an issue, and now as a series, that is what you make of it. Is Scott Free alive? Is he dead? Did he die on that bathroom floor, all the way back in issue one? Is he in heaven, or in hell? Is he in the DC universe, or another in the vast multiverse? Is he pre-flashpoint, post-flashpoint, before or beyond one infinite crisis or another? Best callback, or best callback? He could be. He might not be. It doesn’t matter. Wherever Scott Free is in Mister Miracle #12, he has found a life to live. He still has a beautiful, loving wife, and a wonderful son—and now a baby daughter on the way. His life is still, as it has been throughout, that heady mix of the ridiculously dramatic world of the New Gods and the banality of a life on Earth. Scott and Barda balance a life in showbiz as master escape artists with LA traffic, hospital appointments, and, occasionally, fistfights to the death against fellow godlike impossibilities on far-flung cosmic worlds. Their jobs are to keep the peace, whether that peace is the uneasy treaty between Apokolips and New Genesis, or simply that their young son gets his naptime in. And they love it all, no matter how weird or normal it gets. Scott’s fatherly issues are a bit more cosmic than most. But no matter how seemingly happy this life is, the depression that has stalked Scott throughout the series—the depression that lead to him slashing his wrists back in issue one—still lingers. Throughout Mister Miracle #12 we see Scott surrounded by specters of those who’ve died throughout the series—from Highfather to Granny Goodness, from Orion to Darkseid himself. They’re all coated in the glitchy static aesthetic that has come to define an alarming wrongness in Gerads’ artwork for Mister Miracle, as they all mentally poke and prod at Scott’s psyche, his inner demons made physical. Granny asks him why he would make all this up just to escape her nightmarish care. Forager simply tells him he’s in Hell, and no matter how much punching he does, he should’ve taken the opportunity to leave it all behind. Orion instead needles Scott that he dare take the “easy” approach out and stay in what Orion believes to be heaven. These voices of the dead linger across this final issue, but Scott rarely acknowledges or answers them—he only does so twice. The first, to Highfather, is to simply deck his dad clean off his feet and walk away. The second is to cry in Oberon’s arms, to ask him why everything feels so wrong even as his life goes seemingly so right. Both moments are heartwrenching—especially as the only two voices Scott chooses to address are his father and his closest friend. But no matter how many voices whisper to him, no matter how many ghosts of the past appear, the point of it all is that Scott’s choice is to live with it all anyway. He has his happy life, but that just doesn’t make his problems go away—they’re the one thing that even he, super escape artist, can never truly escape. It’s a point Mister Miracle #12 is still making in its cryptic, final panels, as Barda and Scott lean in for a kiss, only to also briefly flicker in the same static as the dead before them. Maybe it’s a hint that this is indeed some imagined afterlife that the dead walk among. Maybe it represents Scott’s decision to accept the life he has, the happiness alongside the seemingly endless anxieties of whether we’re all doing the right thing, doing the things that would make our parents proud, or our friends happy. The point is in the choice to persist regardless of it all. In the end, beyond the speculation and the mystery, the clash of the Kirby-ian absurd and the crushingly real, there’s only really been one certainty in Mister Miracle—the voice of anti-life, ceaselessly invading panels and pages to remind us of one inescapable fact: that Darkseid Is. And so ends Mister Miracle. Or does it? But Mister Miracle #12 invites us to consider another certainty. That maybe, in the end, it’s simply that Scott Free Is, too. See. In the end. Everything's going to be all right.